Prominent & Leading Manufacturer from Ahmedabad, we offer ballistic resistant windows, bullet resistant doors, ballistic resistant doors and bullet resistant windows. We are one of well known entities engaged in offering Ballistic Resistant Windows that is strong optically transparent, particularly resistant to being penetrated when struck by bullets. This finds its applications in windows of highly influential people and government officials. This is installed in automobile, offices and residences and provides safety efficiently. Customers can avail the same at leading market rates. 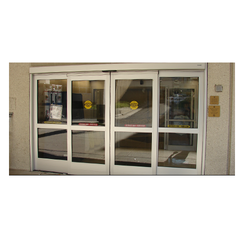 We with continuous research and development involvement are engaged in offering Bullet Resistant Doors that are created with industry standard components and latest technology that makes it highly durable and smooth in functionality. Additionally, this is resistance to wear and tear, free from termite thick shutter created for heavy duty usage. The door is electro statically applied with a prime base and Kraft honeycomb core that provides structural strength and exceptional flawlessness. We are highly recommended by our existing customers due to our thorough use of industry standard components and advanced technology. 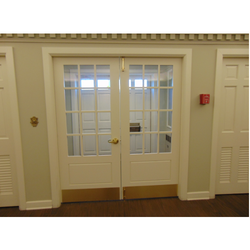 Our specially designed Ballistic Resistant Doors provides an excellent bullet resistant barrier that supports the rest of the secure environment. Additionally, these are durable with resistance to water and termite. They are installed easily and provide high end performance. These are extensively used in providing safety and are installed in residences and offices of highly influential people and government officials. 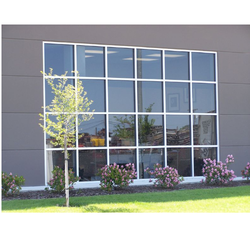 Backed by thorough professionals and use of advanced technology has engaged us in offering Bullet Resistant Windows that is a strong and optically transparent material that is particularly resistant to being penetrated when struck. 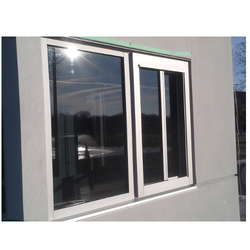 Our Bullet resistant Windows is made up of a combination of two or more types of glass that is hard and soft. These are extensively used in providing safety and are installed in automobiles, residences and offices of highly influential people and government officials. Looking for Personal Safety Equipment ?